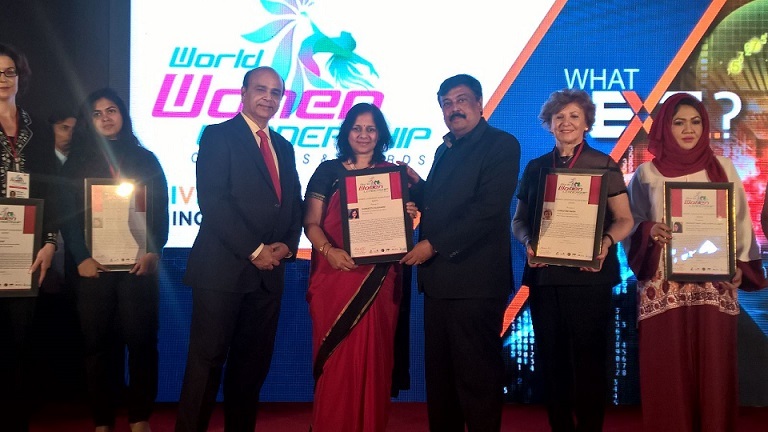 Bangalore, Karnataka, India: Sangeeta Kulkarni, CEO and Co-founder of Brickwork India has been honoured with the “Women Leadership Achievement Award” at the 3rd World Women Leadership Congress & Awards (WWLCA) – 2016 event held on 17th-18th Feb at Taj Lands’ End, Mumbai, India. This award is a recognition for her outstanding vision, flair, acumen, professionalism and for demonstrating exceptional leadership and management skills as a CEO and her contributions to the business world and society at large. The WWCLA program was chaired and directed by a distinguished jury of senior business leaders, researchers, and academicians. Since the founding day of Brickwork in 2005, the core business focus has been to make the benefits of outsourcing available to individuals and small to mid-sized companies, by providing simple to complex virtual business assistance at an affordable price. Under her leadership, the organization has seen a series of firsts - the first company to provide a platform for on-demand outsourcing for global SME’s & retail clients and the first Indian company to receive the ISO 27001:2013 certificate for data security and confidentiality. Brickwork, now the global leader in Remote Executive AssistanceTM (REA) services is the preferred choice of many start-ups and SMB’s in US, Australia and Europe. Her leadership abilities and sharp business acumen has lead a 350 strong organization through an upward growth trajectory path with over 20,000 clients across 116 countries. She runs CSR initiatives and activities through “Brickwork Pragathi Foundation” which focusses on employability training for underprivileged youth and help them become skilled and economically independent through long and short term skill development programs. The foundation as a part of its women’s empowerment program offers microfinance support through Self Help Group schemes. During natural calamities in Nepal and Chennai, the foundation offered contributions to assist the ongoing relief activities. Its clientele ranges from Fortune 500-companies to start-ups and entrepreneurs, spread across the world and across industries. There are three different service lines to address the wide range of business demands at different levels of assistance and capabilities - Knowledge Services, Technical Services and Admin Assistance Services.